As poverty spreads, the middle-classes are now becoming affected by the world changes. Not to mention, the recent climate effects. Yet, how is it that certain personality types within the middle-classes are more prone to experiencing a complete mental breakdown, which causes them to defy their own survival instincts? Carl Jung and Freud often debated regarding the influence of the human beings will to live and will to die. Otherwise referred to as a death-wish. In circumstances of survival, an individual will often seek to group up with individuals that could benefit their situation, allowing for a higher rate of survival through team effort. Yet, not all individuals are capable of acting rationally after their entire world has been shattered. I have discovered no record of this phenomena within Thanatology, however, I consider the research performed into this subject most fascinating. The poor have each other. The rich have money for bodyguards and supplies. The middle classes have none of the above, making them a hazard in prolonged survival situation with no way out. The survival mentality and capability of the individual is in essence defined by their psychological and physical state, past experiences as well as relevant knowledge. Subconsciously, the middle classes would feel drawn towards the individuals that they would wish to die with, as the life that they have known has ended. The poor choose their friends for different motives than the rich, yet both social groups tend to associate with one another on a more personal basis than the middle class does. They like to separate themselves from society. I have associated this phenomena with the death drive. During times of trauma, we are drawn to individuals that we subconsciously believe will aid the transition of consciousness that occurs throughout a social and psychological breakdown. The conscious mind struggles with the knowledge of the subconscious mind. The knowledge persists that they will not be able to return to their former life, compromising their capacity for psychological survival. 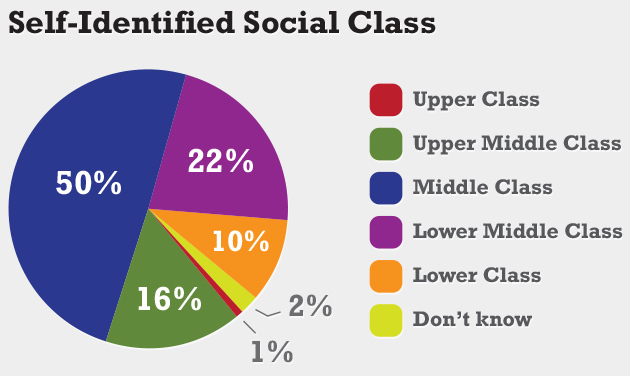 Middle Class individuals have a disconnected social life, leaving very little social support networks in times of need. 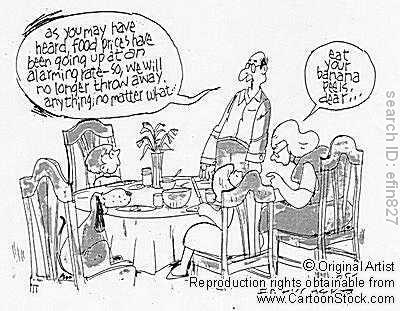 Now, imagine the average house-wife, the type that follows a very rigid, habitual pattern in everyday life. The one that drops her kids off to school 100 yards away in either direction in three different schools in a large vehicle, such as a Landrover, and then spends her day at the Salon, shopping or purchasing a manicure. The types that will do almost anything to avert poverty and seek comfort out of luxury. Even within a functioning society, these individuals are displaying inclinations towards hysteria, violent outbursts, almost exhibiting tendencies of an OCD bipolar. Their routines and habits have become coping mechanisms. During an apocalypse hard choices arise, if the three children and the wife are in different locations to far to travel to, only one individual can be saved in the end, but which one? One does not attain a cushy life in modern society without a cut throat nature and blind ignorance to the truth. To live with such choices knowingly can shatter the psyche beyond the point of return, although they know there was no other way. Historically, these are the individuals that used to run the town and village councils, the ones that would run other individuals out of time. They like their life the way it is, and will do anything to preserve it, even if it is impossible. In a life or death situation, they do not distinguish between having an argument and shooting an innocent getting in their way. Yet, it is pettier than that, they attempt to put their middle-class life back together. These are the types that struggle to leave their homes after being struck by natural disasters in the area, unable to cope with the loss, they still follow their routines up to the point of obsession, if not destruction. Not the type of woman, you’d like to encounter during an apocalypse. Within modern media, they have become stereotyped as the hysterical women that manage to sabotage the entire plan of the main characters, yet often avert death until the end of the film, whilst they do not understand the consequences of their own actions, they simply see the short-term view and instant gratification of the situation with the false that life will simply return to its former state. Whereas most individuals are able to cope perfectly fine with the existence of aliens, government conspiracies or the corruption within more than half of society, these types are unable to even discuss the subject as it makes the increasingly uncomfortable. They’re the types that are happy not knowing. The male equivalence of this personality type is often an overterritorially active, they will neglect the group survivor mentality and simply resort to protecting their family unit to extreme degrees. If any of the children are female or have medical conditions, such as asthma, these tendencies become even more severe. They often act in a manner, which is overprotective to the degree self-destruction. One has to remember that during a mental breakdown, the normal functioning of the psyche is disrupted and the individual is under a constant sway of emotion that compromises the presence of mind. The male equivalence is often driven into behaviour by the loss, which could be classified as overterritorially violent, if not manic. Overall, this personality type in an apocalypse situation, in family groups or in large groups, is the worst kind of survivor, as they have a complete lack of reality. Dependent upon how much the society is affected, the individual has no previous experience of handling real life situations due to their upper middle class standing. Simply stating the obvious fact, they are often acting out of extreme fear in circumstances of survival, in which they will sacrifice the lives of others for their own or their family unit.